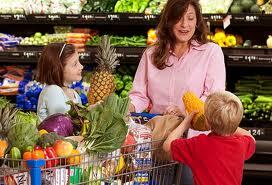 When it comes to healthy eating habits and food preferences of kids differ in some ways. Some are picky eaters while others may become adventuresome gourmands. But no matter what kind of habits they have, you can help your kids develop and shape his food preferences and attitudes toward food by guiding him toward healthy eating habits. 1. Accompany him during food shopping – show to your child how to choose healthy foods and explain to him the health benefits that you can get from the food. Instead for processed foods, go for fresh vegetables and fruits. 2. Let your kids help during cooking – whatever age your children are, invite them to help you during cooking, they may not be able to cook but certainly they can perform simple preparation. 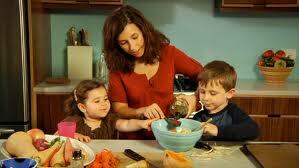 In this way your child will be able to know how to cook on their own as they grow up. 3. Promote smart snacking - even if you served her favorite dishes during meal time but if he just taken his snacks too close to mealtime he will likely not eat it. That is why don’t let her take his snack at least an hour before mealtime, and if he wants make it light by serving a slice of fruits. 4. Avoid bribery – most parents certainly do this trick in order for their kids to eat by saying no to TV, computer or whatever he wants to do unless he eats his meal. 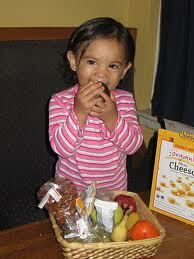 But this idea can create an uneasy relationship with food in your child. Instead of pressuring him to eat which he doesn’t feel like, give him choices that are more likely to go down easy. 5. Don’t ban junk food – allowing him to eat such food doesn’t mean good for him but if you try to forbid even a piece of lollipop in your home will more likely to make him feel ignorant. A better way to handle sugary snacks is to let him take a piece of it once a while and if he wants for more, try to steer him toward healthy snacks like nuts. 6. Set a good example – examine yourself first, if you try to ban your kids from drinking soda and eating sugary foods, be a model to them by setting them good example.